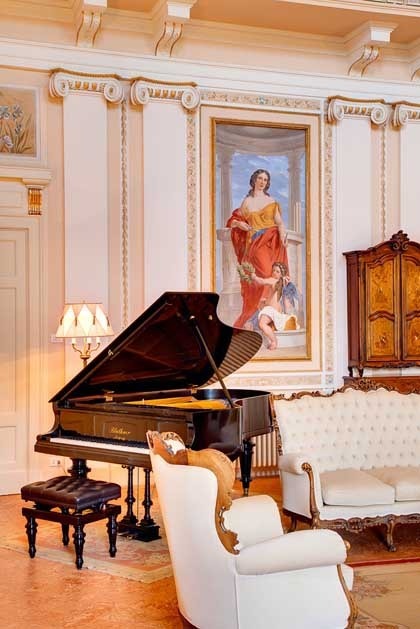 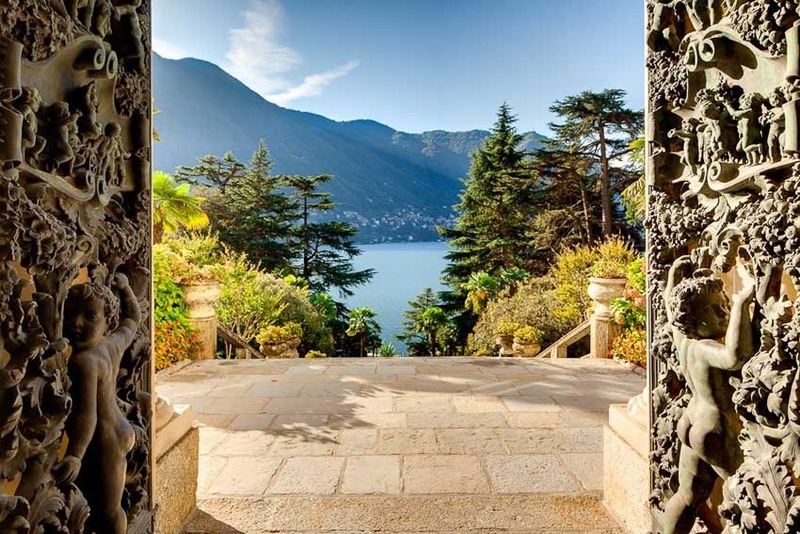 Villa Passalacqua is a luxury 5 star villa on the shores of Lake Como surrounded by 7 acres of beautiful and formal gardens that start high up in the village of Moltrasio and run down to the lake shore. 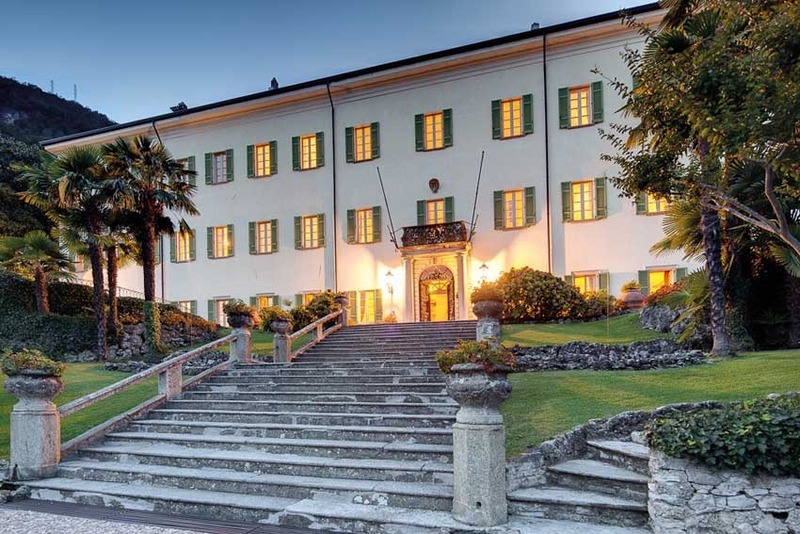 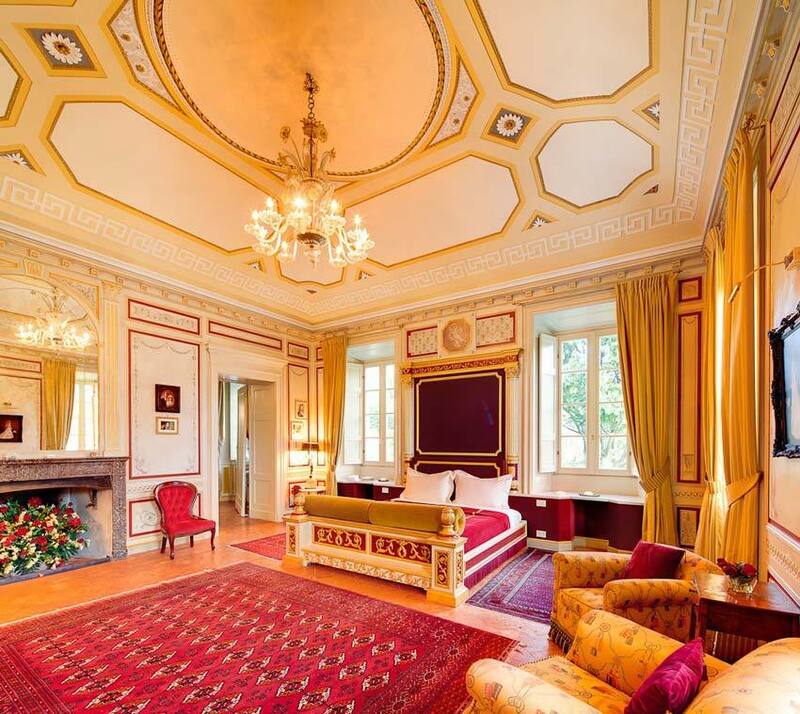 The Villa is located at approx ten minutes to the city of Como and less than one hour to the center of Milan. 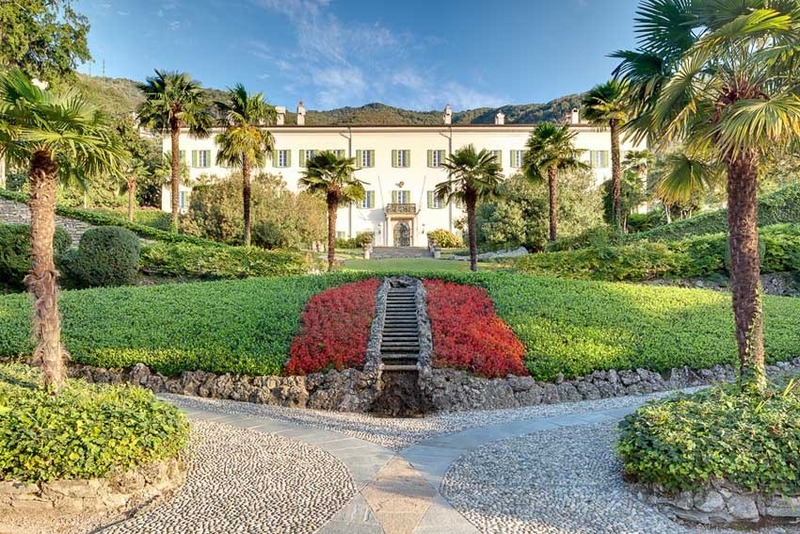 The villa is available for rentals, weddings and events. 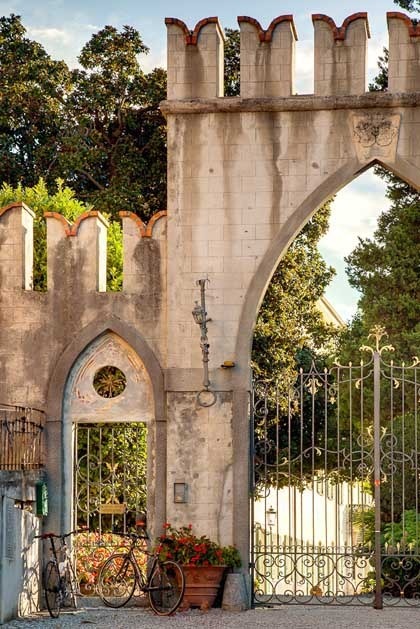 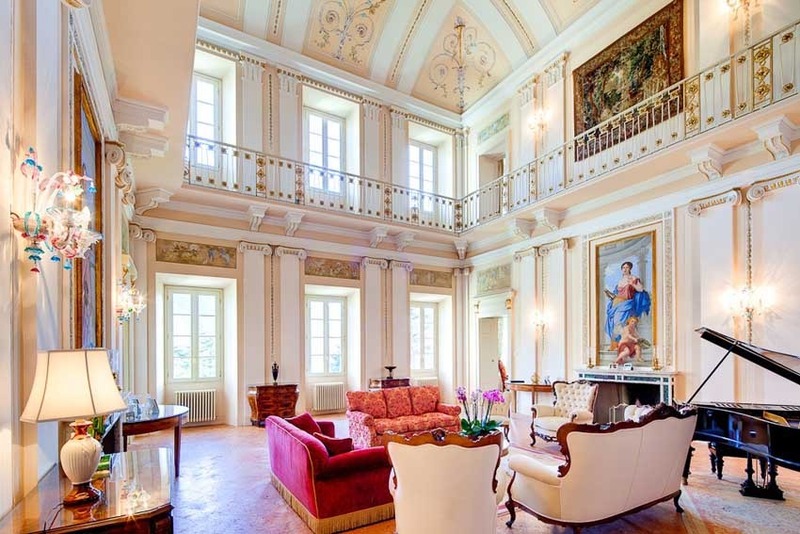 The Villa Passalacqua was constructed in the 1700’s by Count Passalacqua who had been granted the property by the Odescalchi Family, a Northern Papal family and is now a national monument in Italy. 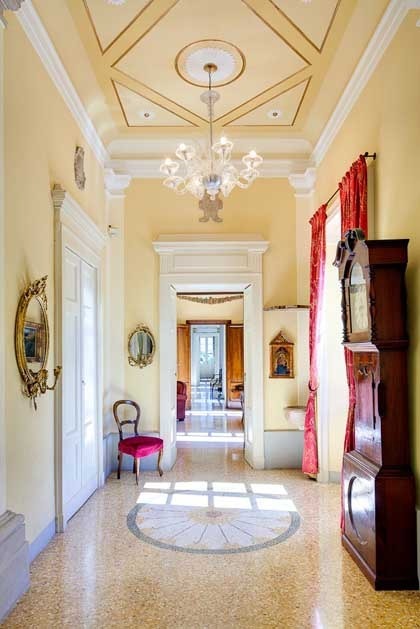 The Villa has been designed to have a simple symmetrical façade and a rich and elaborated interior, ceilings of most of rooms are decorated with paintings and then there are sculptures, rugs, tapestries and Venetian chandeliers. 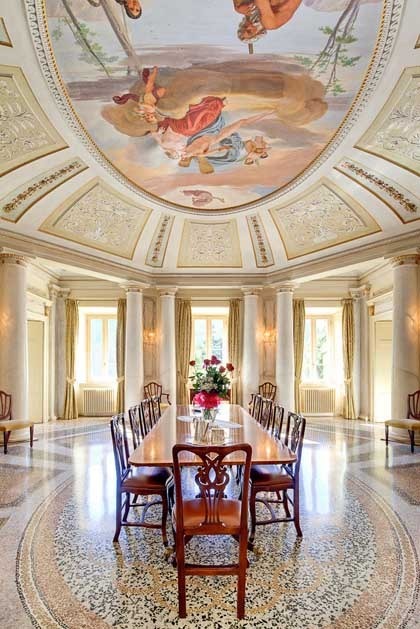 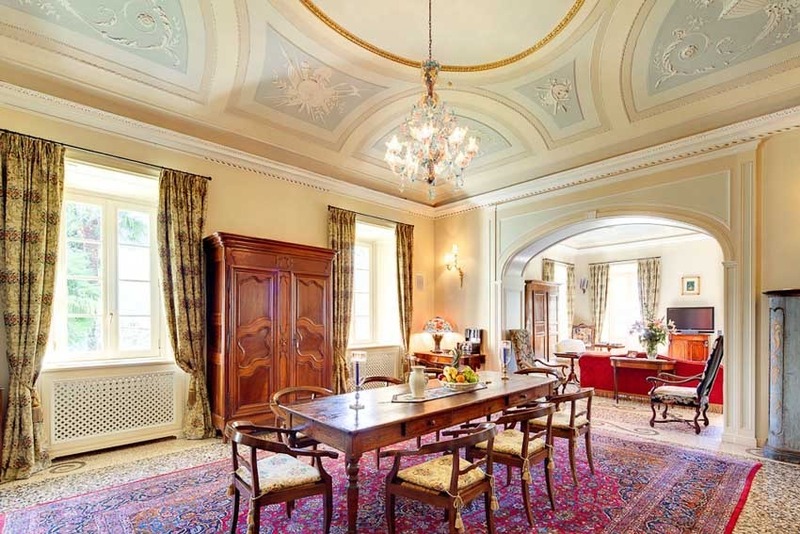 There is a large kitchen fully equipped and an amazing oval shaped Dining Room with 16 marble columns, there is also a more casual Tuscan Dining Room filled with period Tuscan furniture. 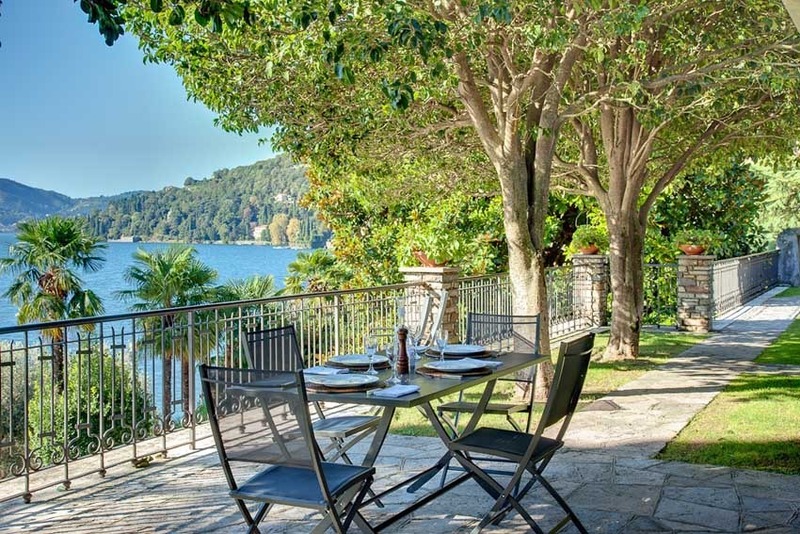 The Villa has a private dock for lovers of water sports as boating and waterskiing. 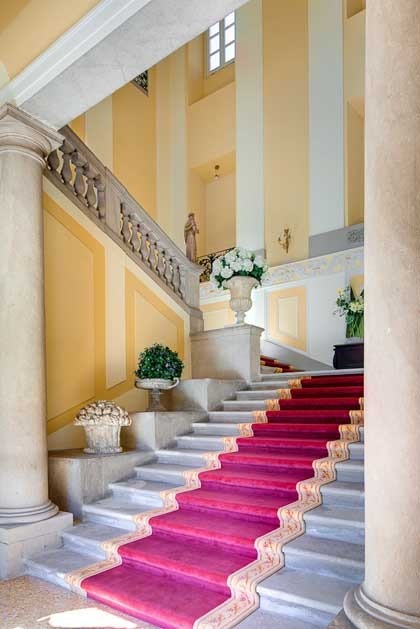 Symbolic and Protestant wedding ceremonies in Lake Como are allowed in the panoramic park of the villa or by the pool or indoors in one of the halls. 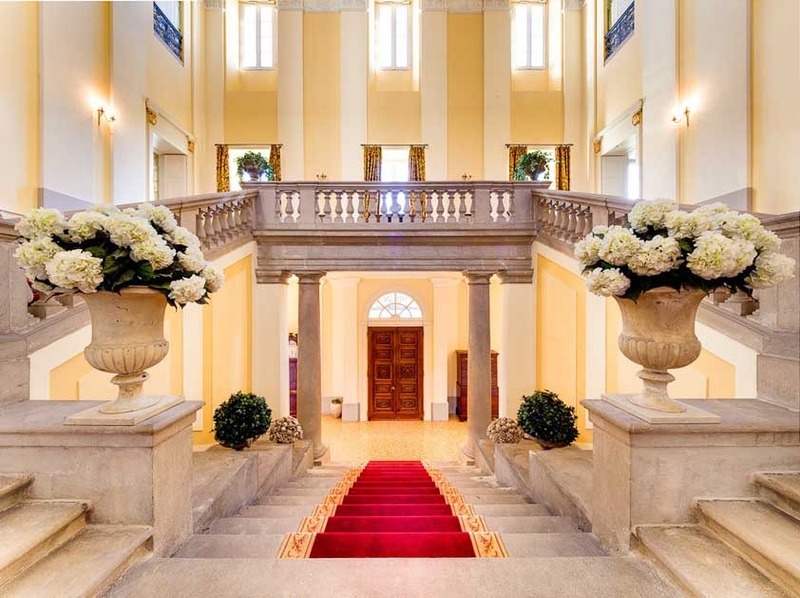 Wedding banquets can be organized indoors in the dining room that can hold max 75 guests, with the two adjoining rooms the indoor areas have a max capacity of 120 guests. 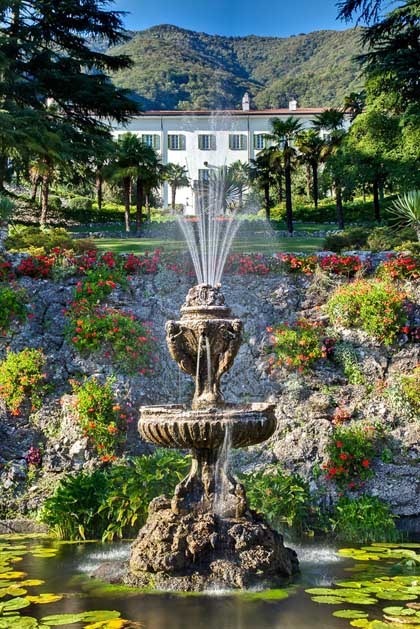 Outdoor banquets can be organized in the large park, in this case a Marquee must be rented. 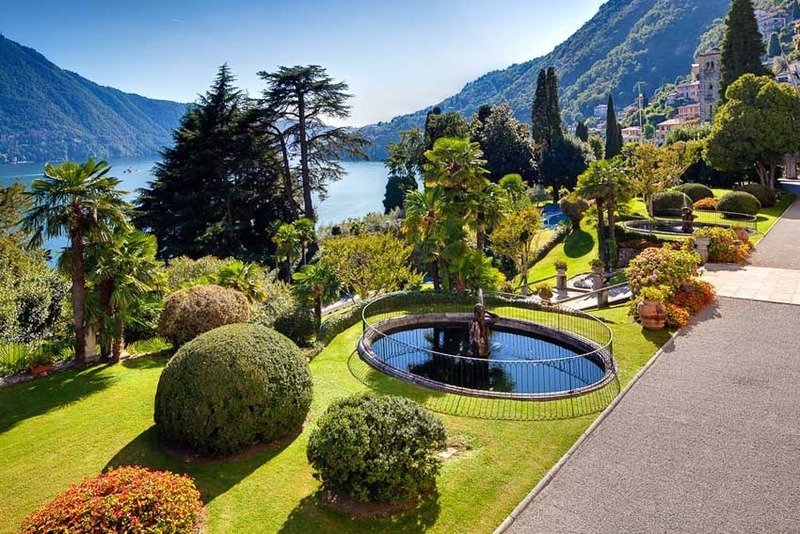 Music is allowed outdoors but must be soft, dance music is allowed indoors until 1:00am, preferably not DJ but live band with appropriate volume since the Villa is in the center of town with many houses around. 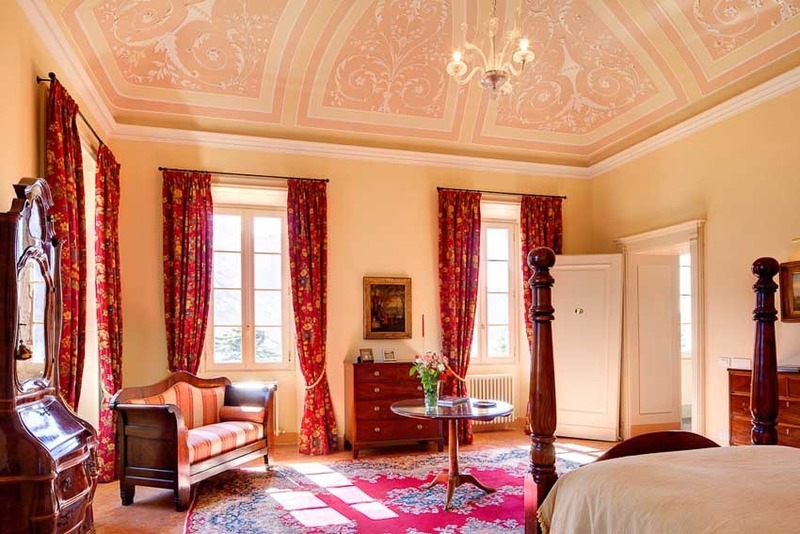 There are eight suites in the Villa, all unique and beautiful with high and carved ceilings, antique floors, spectacular bathrooms, antique furniture and Persian rugs. 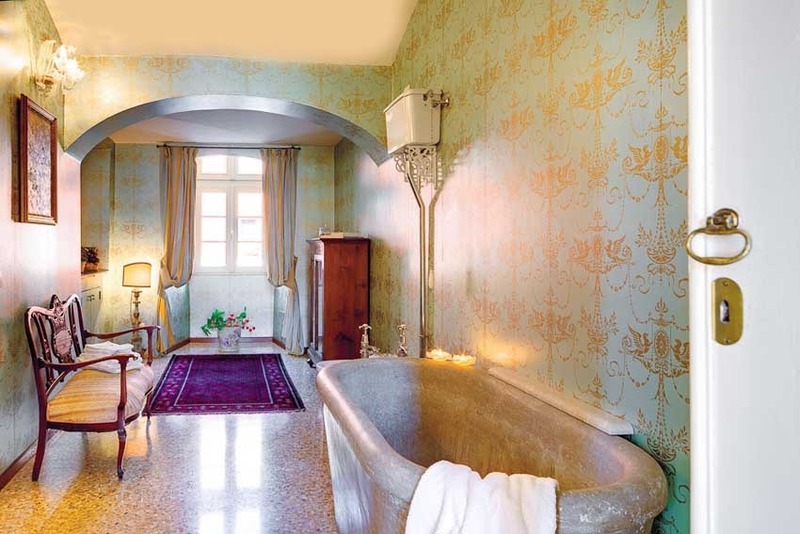 Some of the bathrooms have Philippe Starck designed wash basins, bathtubs and W/Cs, while others have antique French and English large trough bathtubs and ornate wash basins. 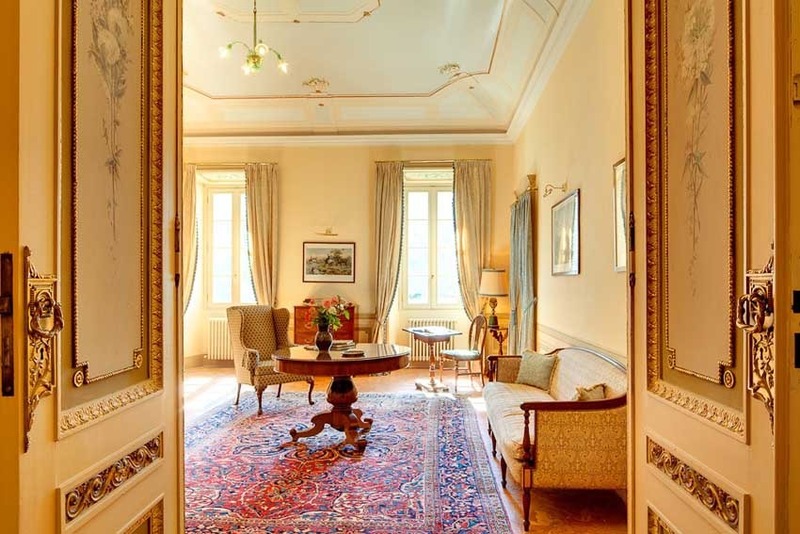 The Villa is children friendly, in fact there is a large children’s playroom on the first floor next to the music room and a small children’s playroom next to the kitchen. 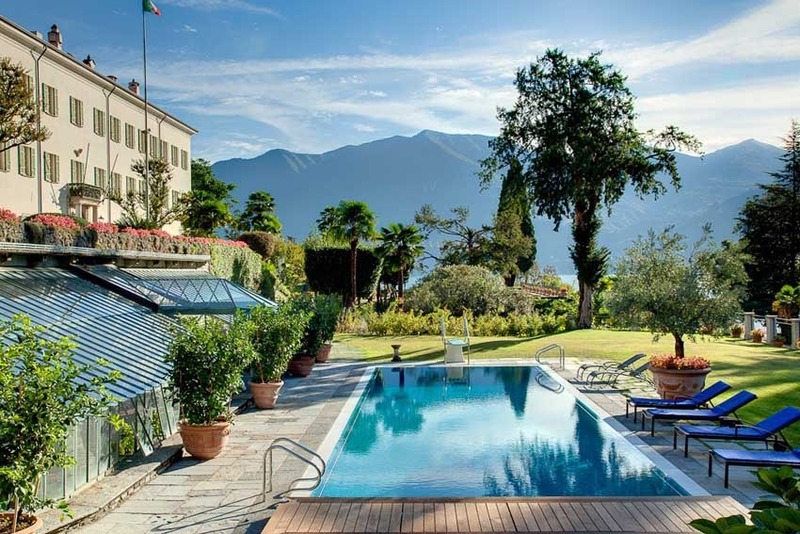 The rental of the villa has a minimum stay of 3 nights. 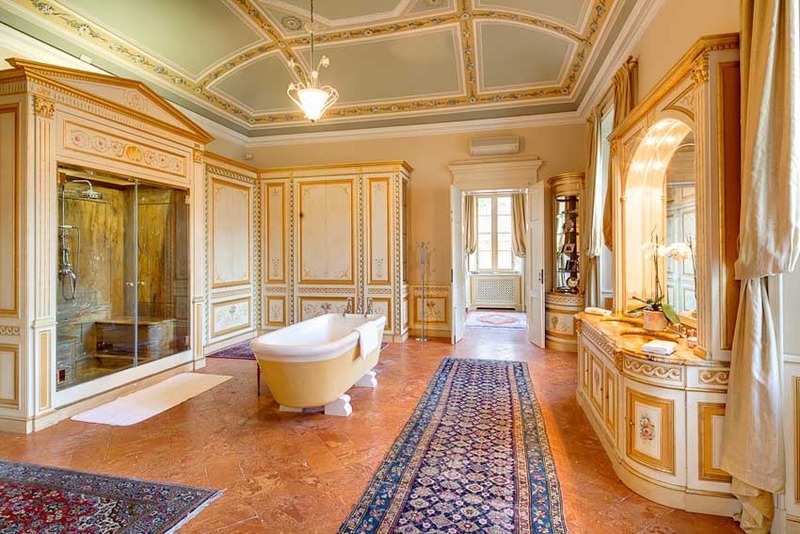 It is possible to rent the villa all year round.